Italian Country is a plaster fireplace mantel. 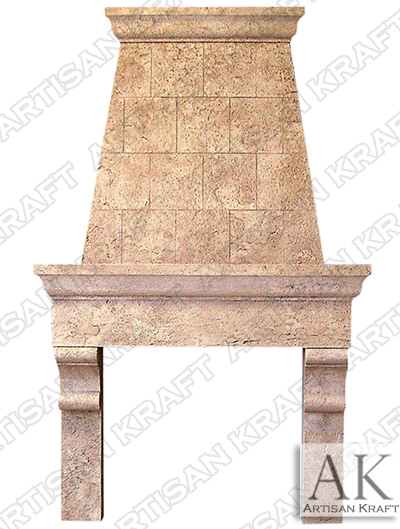 Italian Country overmantel fireplace can also be cast from cast stone is a smooth finish and in a travertine like look. Ask for pricing of this fireplace mantel in cast stone. Can be made custom in cast stone fireplace mantels.